In my first article Abinger Place: the early centuries I describe how the piece of land (now Abinger Place) situated on the crest of a steep hillside on the north west side of Lewes, was shaped by events in the town throughout the centuries from Roman times up to the 19th century. 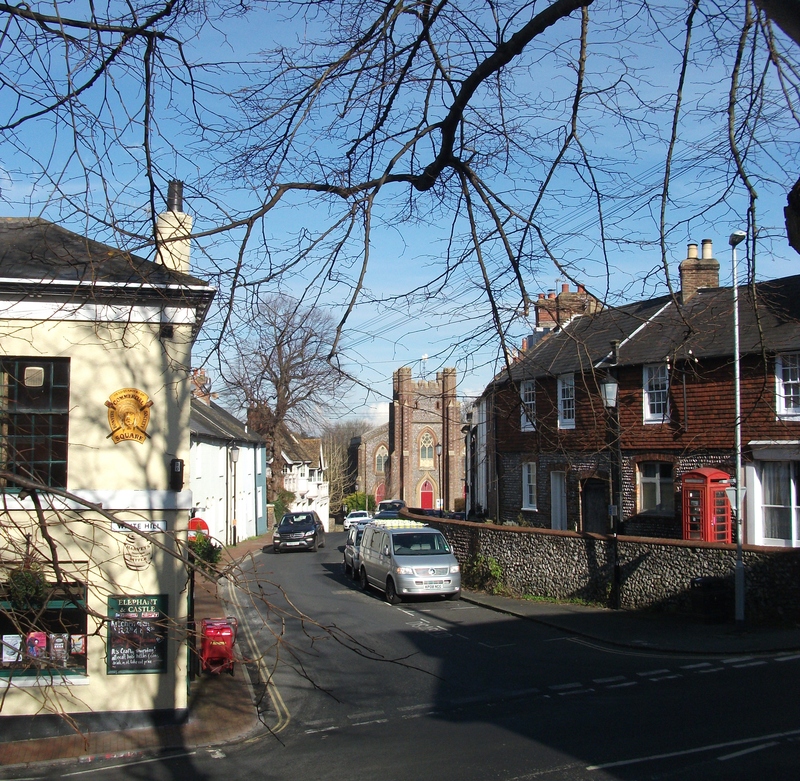 The beginning of the 19th century saw the development of Lewes’ New Town, beginning with East Street, Little East Street, North Street, and St John’s Street. The eastern half of the land called Kemps Field became Sun Street around 1807. The remainder of Kemps Field, the area which became Abinger Place, was next to be developed. Details of how this development took place can be found in my second article, Development of Abinger Place in the 19th century. Here I focus on a time of rapid development of the road as a residential area with a new church and a pub, and explain how the new road which was first called Church Street changed to Abinger Place. While researching this I talked to other residents in Abinger Place who have kindly helped me brainstorm areas of interest relating to this period, lent me deeds of their houses, told me anecdotes and introduced me to resources in Lewes Library and The Keep. I am particularly indebted to Judy and Colin Brent and the library of Sussex Archaeological Society for their help while I have been investigating the story of Abinger Place. The events and anecdotes from the 20th century remain to be discovered in order to complete this history of a Lewes road. Any photos, press cuttings, records and anecdotes that readers may have which relate to Abinger Place in this period will be helpful for this.